This part of the big-day prep is more important than you think. Brides are so vigilant about skin and hair prep in the months leading up to the wedding, but what about their hands? 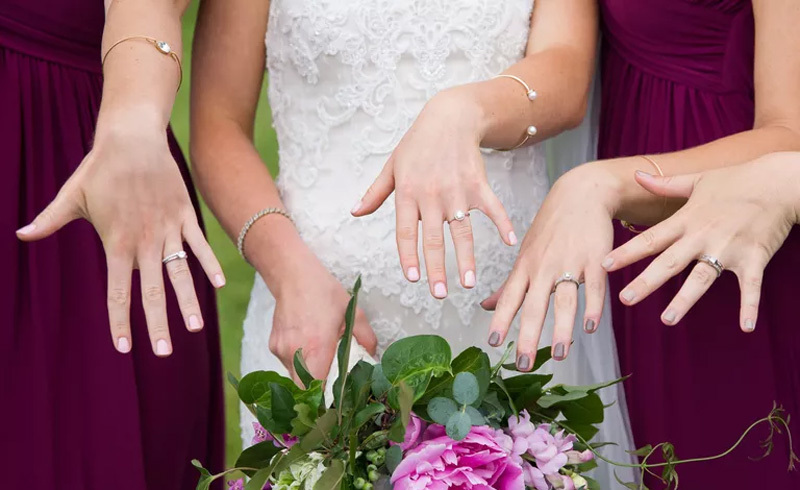 On your big day, your hands get a lot of notice, and they're bound to be the focus of a number of photographs and other important moments—especially your ring exchange and the cake cutting. That's why it's important to pay a fair amount of attention to their care in the weeks before you say "I do." 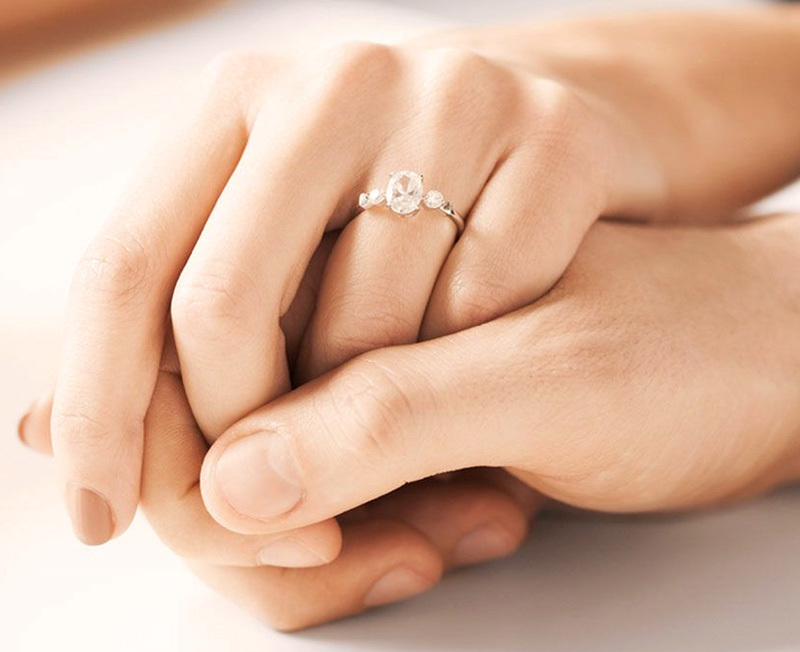 Here, we share some tips and tricks to get your hands looking great in time for the wedding. It may sound obvious, but getting regular manicures will make the biggest impact on how your hands look on the wedding day. While fresh polish is an obvious plus, having your nails shaped and buffed and your cuticles cut is even more important. A few months before the wedding, decide what look you want in terms of nail shape and length. If you have weak, broken nails, it will take some time to grow them out. Most brides choose shorter styles that are more conservative, but if you love longer nails, be sure that they are filed and shaped to perfection. Just like you exfoliate the skin on your face every few days, you should also make it a habit to exfoliate the skin on your hands. Try to remember to give your hands a little TLC whenever you're doing a face or body scrub. This will help to get rid of dull, dead skin that makes your hands look less than perfect. Think twice before you do yardwork or housework without gloves on. Whenever you're washing dishes or gardening, pull on a pair of rubber gloves, which will protect hands against cuts or rashes. And just like every other part of the body, it's imperative that you're protect your hands from the sun. There's no need to make a special sunscreen purchase—just use any face or body SPF 50 on your hands whenever you'll be in the sun. Bonus: Protecting the delicate skin on your hands is the best way to prevent early signs of aging. You know those serums and moisturizers you use on your face? Use them on your hands, too. You don't have to go overboard, but when you apply those anti-aging or hydrating products to your face, rub excess into your hands. Additionally, keep a great anti-aging hand cream on your bedside table and be diligent about applying every night before bed. If you really want to go the extra-mile wear gloves to bed to let the lotion work its magic.